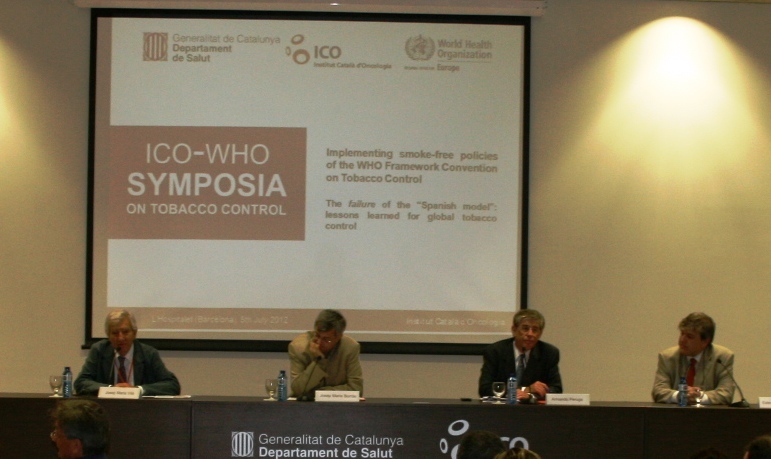 On July 5th 2012 100 participants and 20 speakers from different countries met at the International Symposium “ICO-WHO SYMPOSIA”, jointly organized by the ICO and the WHO. This first edition was devoted to analyzing the experience of Spain and other countries that have implemented partial smoke-free laws or that have suffered regressive processes by the establishment of exceptions to laws initially complete. 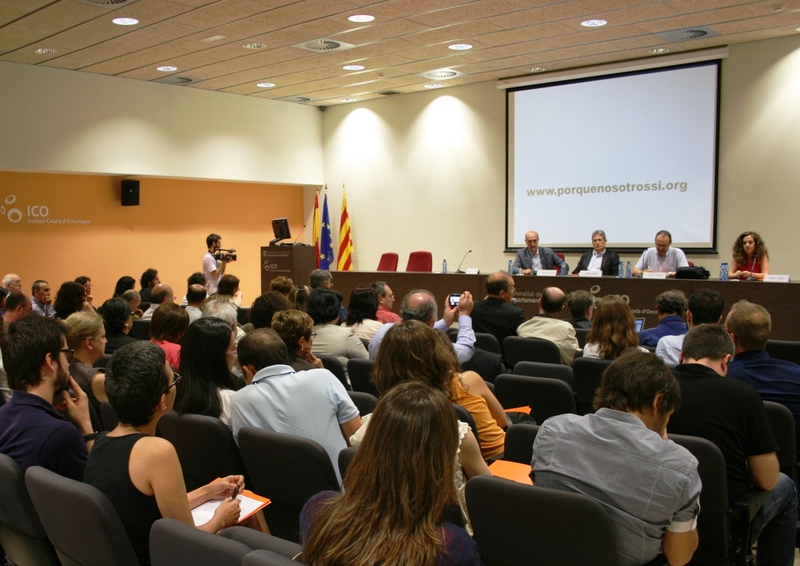 The Symposium was inaugurated by Dr. Josep M. Borràs, director of the Oncology Master Plan of Catalonia on behalf of the Minister of Health, Dr. Josep M. Vilà, President of the ICO and Dr. Armando Peruga, coordinator of the WHO Tobacco Free Initiative. In the opening conference, Dr. Kristina Mauer-Stenden, from the WHO-EURO Office, presented the current state of the tobacco epidemic in the European region (53 states beyond the old Europe as she reminded us) and the current development of smoke-free legislation according to the WHO Framework Convention for Tobacco Control. 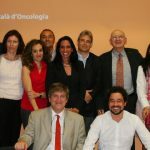 The first table was used to present the process followed in Spain to change the law, from a partial to a total ban, thanks to the scientists who provided evidence, the citizens’ movement and the commitment of governments. 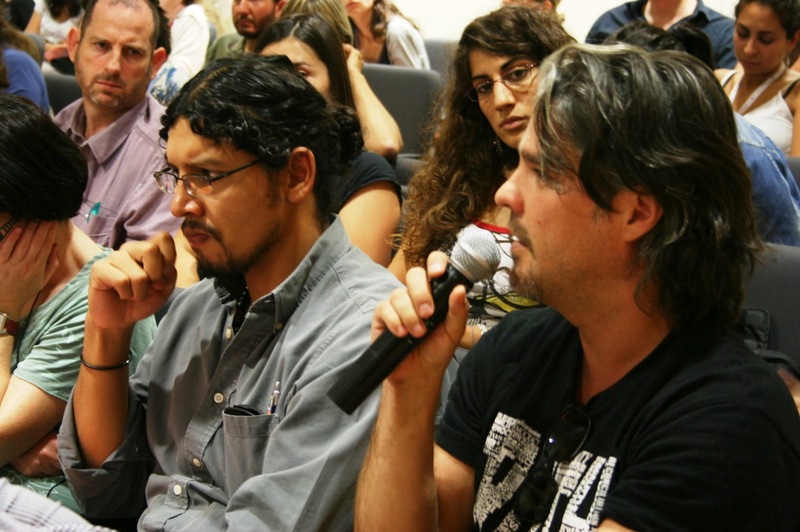 The second table addressed the influence of the old “Spanish model” has played in several European and Latin American countries and how international organizations have attempted to stop its spread. The third table dealt with other tobacco control measures, firstly the example of the loophole in tobacco taxes in Spain and secondly the study of the reactivity of tobacco price increases in different European countries. In the fourth and final table, the speakers reviewed the lights and shadows (actually more shadows than lights) in the current development of the smoke-free laws, with examples of not achieved laws in Poland and Portugal, and regression in the Netherlands. Each table had a lively discussion with the participation of both the audience and guest speakers. 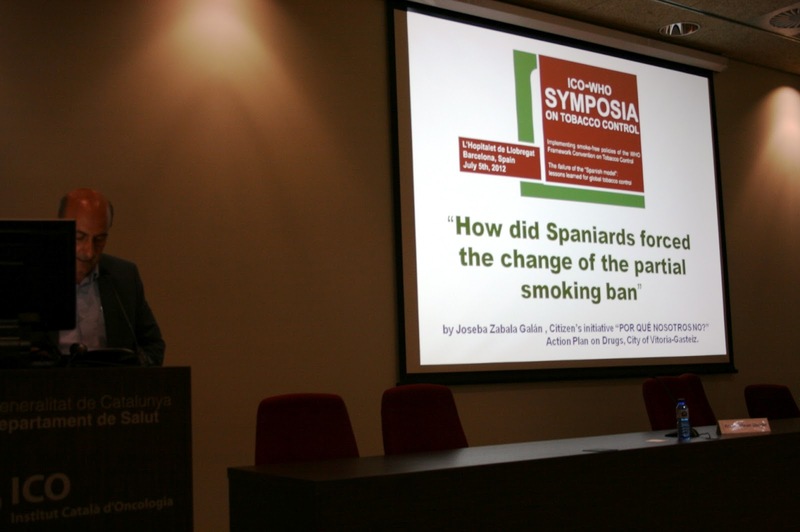 In the closing conference, Dr. Armando Peruga (WHO Tobacco Free Initiative) characterized the old “Spanish model” as one of the clearest examples of interference from the tobacco industry in developing the WHO Framework Convention for Tobacco Control. Dr. Esteve Fernández, chairman of the symposium, highlighted that the old “Spanish model” had been passed and that now the “Spanish model” is a synonymous of the ability of the states to overcome the pressures of the tobacco industry. 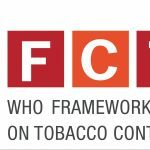 The first partial Spanish law (the old “Spanish model”) was used by the tobacco industry, in some cases successfully, to undermine smoke-free legislation in different European and Latin America countries, contrary to Article 8 of the WHO Framework Convention for Tobacco Control. Smoke-free laws are an important strategy, alongside the development of appropriate fiscal policies to all tobacco products in all countries, especially when shared borders, as demonstrated in the case of Spain. 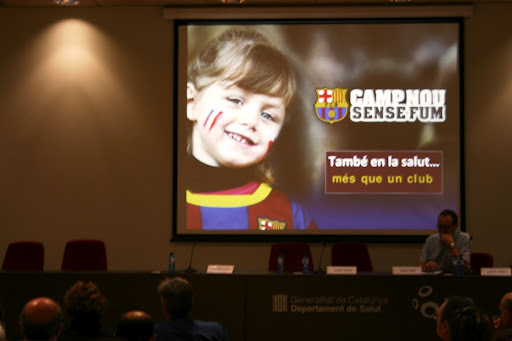 Finally, despite this progress, it is very important to prevent the regression of the smoke-freelaws, as happened recently in the Netherlands or as could happen in Spain with the proposed gambling macrofacility that threatens the current law, as it has been echoed by the media invited to the Symposium.